Eric Butterworth served as minister, author, and radio personality. He earned high respect for his delivery of universal spiritual ideas. His teaching focused on the divinity of all people, and his desire was that everyone would know their oneness with God. Butterworth’s mother, May Butterworth, became a Unity minister in 1941. He soon began his own training for the ministry at Unity Village, Missouri. He left to join the army. As a lieutenant in the Medical Corps he trained medical personnel and also served as chaplain and counselor. 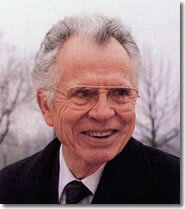 After World War II, he returned to his ministerial studies. He was ordained in 1948. Butterworth ministered in four Unity communities: Kansas City, Pittsburgh, Detroit and New York City. While in Detroit, the congregation raised funds to build the Detroit Unity Temple, the largest Unity church at that time. More than 2,000 people attended his Sunday services each week. 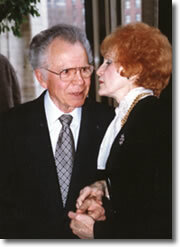 In 1961, he began his ministry in New York City. His Sunday lectures were held at Carnegie Hall, Town Hall, and then Avery Fisher Hall in Lincoln Center, where the weekly attendance grew to several thousand. Butterworth authored 14 popular religious books, including Discover the Power Within You and Spiritual Economics. Butterworth’s radio show “Eric Butterworth Speaks” provided thousands with new perspectives about positive living. His gentle voice articulated a powerful message that inspired hundreds of thousands of people. People from various religious backgrounds were attracted to Butterworth’s positive message. Oprah Winfrey praised Discover the Power Within You and said it was favorite book in her personal library. Dr. Maya Angelou called Butterworth her “teacher." Butterworth dedicated his life to helping people to help themselves.